Marc Etkind has been promoted to General Manager, Destination America, effective immediately. 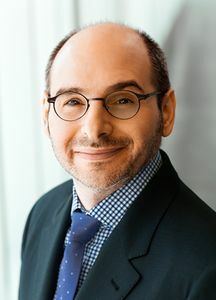 The announcement was made by Henry Schleiff, Group President, Investigation Discovery, Destination America and Military Channel, to whom Etkind will continue to report. In this newly expanded role, Etkind will lead all business strategy, programming, development, production and cross-platform promotion for the network, currently available in 60 million homes across the U.S.
"Marc has been an incredible leader and partner as we grow the first and only network devoted to the people, places and, most of all, stories of the United States," said Schleiff. "The success of Destination America is due, in large part, to Marc's incredible passion for the brand and the sense of fun he and his team have created throughout the programming, marketing and look of the network." Since joining the team in September 2011, Etkind has led the network to 20 consecutive months of primetime gains among the P25-54 target audience and 14 consecutive months of growth in total day among P25-54 and M25-54. Year to date, Destination America ranks among the top five fastest-growing networks in all of cable for P25-54, M25-54 and M18-49 in total day and is already the #1 network for M25-54 out of all cable networks with 60M or less subscribers. Previously, Etkind was SVP, Content Strategy, Destination America, where he spearheaded the development, production and launch of such hits as BBQ Pitmasters, Hillbilly Blood, EPIC, Buying Alaska, A Haunting, Monsters & Mysteries in America, United States of Bacon and the upcoming King of Thrones, Mountain Monsters, Buying the Bayou and Last Call Food Brawl. 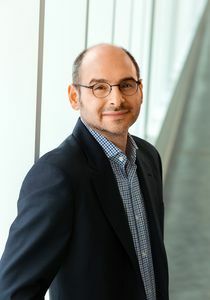 Marc Etkind joined Discovery in 2007 as VP, Development for Animal Planet, where he was responsible for the conceptualization and creation of series and stunts that helped move the network from a niche animal channel to a bold new entertainment destination. With hits including Finding Bigfoot, Call of the Wildman, Gator Boys, and Pitbulls and Parolees, Marc proved himself an aggressive and creative brand-expanding executive. Prior to Discovery, he served as senior director of historical programming at History Channel. Previously, he was president of Pinball Productions, where he produced content for Discovery Channel, Animal Planet and History Channel. Before Pinball, Etkind was a staff producer for the PBS series Scientific American Frontiers with Alan Alda and produced interactive exhibits for museums and science centers. Etkind is also the author of Or Not to Be, a fascinating collection of suicide notes by the famous, including Kurt Cobain, Vincent Van Gogh, Diane Arbus, Sylvia Plath and Virginia Woolf.